Elly Blue (previously) writes, "Will toilet paper be a valuable commodity after society collapses? Who will help you with your reproductive rights in the coming patriarchal dystopia? Why are humans so obsessed with gender? Are bots human? These questions and many more are answered with bicycles (and feminism!) 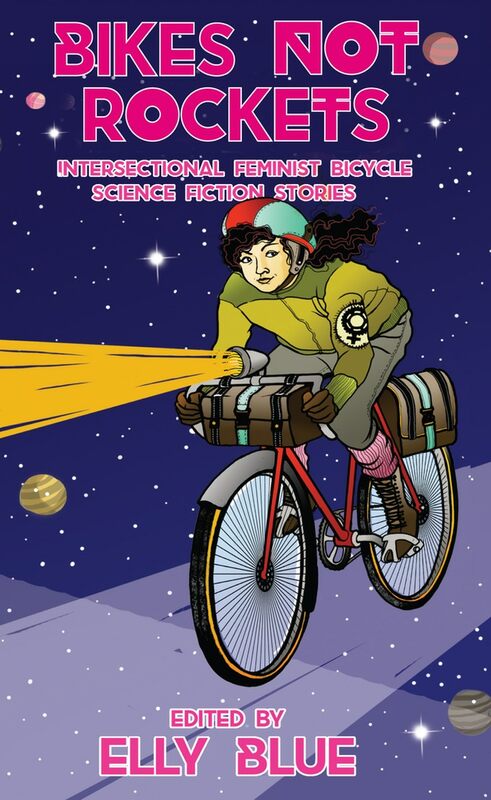 in the eleven stories found in Bikes Not Rockets, the fifth volume in the Bikes in Space series. More relevant than ever, stories in this genre inspire visions of a future beyond the narrow status quo."